Benslow Music's history stretches back 90 years. This is a brief history of how this unique and much-loved organisation has evolved. "This is where happy and magical things happen." "Such a friendly place with outstanding coaching." "Well worth the journey from Scotland." "Food, accommodation, gardens and tutoring exceeded all my expectations." "It's like a retreat with music, I've been three times now and find the courses, food and accommodation superb." The first Rural Music School (RMS) was established in Hitchin in 1929 by Mary Ibberson to provide teaching for beginners and those wanting to continue musical involvement after their school years. The RMS Association (RMSA) was incorporated in 1947 to act as a focus for music teaching in rural areas and as a pressure group to address what was seen as a deficiency in the general educational system. 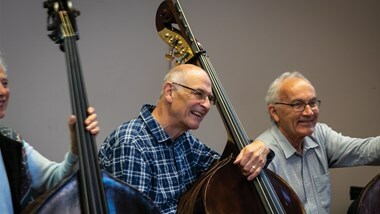 This grew rapidly to some 20 centres in England devoted to making available good music teaching in country towns and villages, with its headquarters in Hitchin. 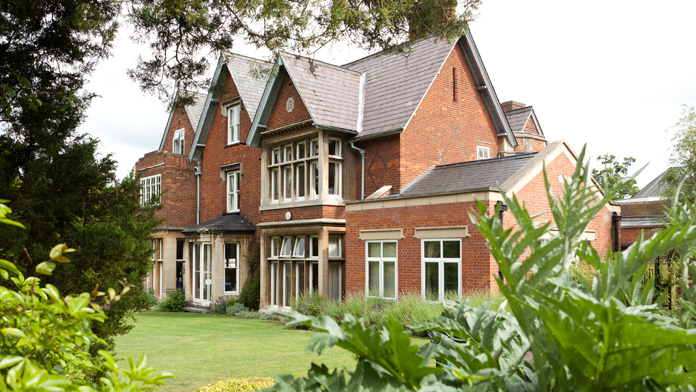 Little Benslow Hills, a substantial Victorian house, was bequeathed to RMSA by Esther Seebohm in 1952 ‘to be used in perpetuity for the support of music-making’ and became the operational hub of the organisation. During the 1950s and 60s provision of music by local authorities began to take over much of RMSA’s work. A recital hall having been built in 1976, a division of views amongst trustees led to major re-organisation, with the Benslow Music Trust becoming established in 1986 ‘to promote music education for social benefit through the study and practice of music, especially in its social and co-operative forms, amongst students of all ages’ with membership open to anyone willing to pay a subscription. Thus was established a programme of short residential courses for adults, soon offering over 100 residential courses annually. The Instrument Loan Scheme was brought to Benslow Music Trust at about this time, set up to provide quality musical instruments, mainly string, on loan to students up to the age of 25. Having been run almost entirely by volunteers, more professional administration was introduced gradually as the programme of courses and other activities expanded. Further improvements to the facilities becoming necessary, both for general maintenance and to accommodate the increased activity, the Lodge was converted to bedrooms in the early 1990s, a new wing (Waldeck) with smaller recital hall, practice rooms and bedrooms was opened in 2001 with the help of a Millennium Lottery Grant of £1.1 million. More accommodation and playing space was added at the Fieldfares extension, by the conversion of the Coach House and other out-buildings in 2009. A suite of rooms to house the Instrument Loan Scheme was established 2013. Constant upgrading, refurbishing and rebuilding of facilities, plus a new corporate identity, has contributed to an unending quest to widen and improve the scope of Benslow Music’s work and access to it. There is now a fully professional staff body running approximately 220 residential music courses annually. Good quality accommodation and in-house catering is available for up to 50 guests at any one time. Some 35 public concerts are given during the year (including a series organised by the Friends of Benslow Music). The core music business is supported by the provision of Bed and Breakfast facilities for the general public and by other events through our trading company Benslow Music Enterprises. We will create exceptional musical experiences, every time, for everyone, through excellent customer service and innovative music programmes.